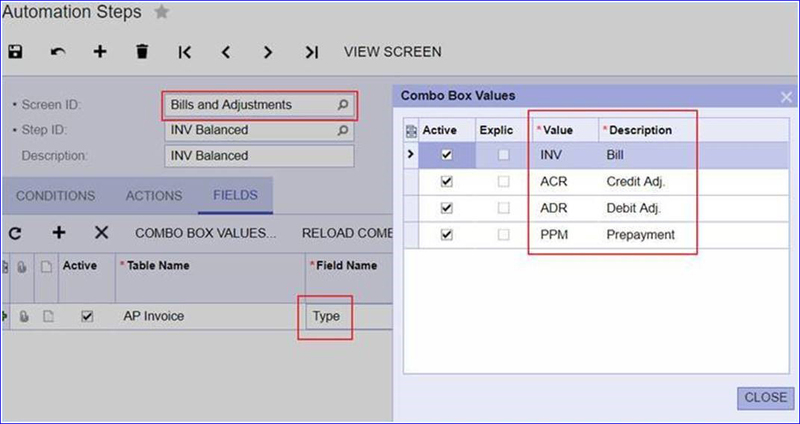 When adding conditions or filters in Report Designer or Generic Inquiries in Acumatica, there are certain cases where you need to use the internal value of a list, or combo box (*). The internal values may be different than the external description you see, so we need a way to inspect them. These internal values are found frequently in the Status or Document Type fields. Here is an invoice example. The formula is using a value of “On Hold” for the Status, but it is not returning the results expected. This is because the formula is expecting the internal value of the “On Hold” status, not the description. So what is the internal value for the status, “On Hold” and how do you find it? 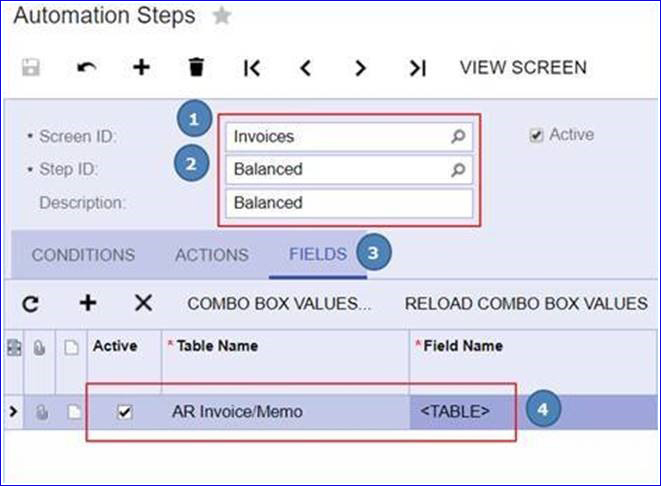 To find the internal value for the invoice status, “On Hold”, you first open the Automation Steps screen (SM205000) and select Invoices (1) in the Screen ID. You can use any Step ID (2) for this purpose. Select the Fields tab (3). One or more rows will appear in the grid (4). Next, click the Plus sign (1) and, in the Field Name column, select the field you are looking for, in our case, Status (2). 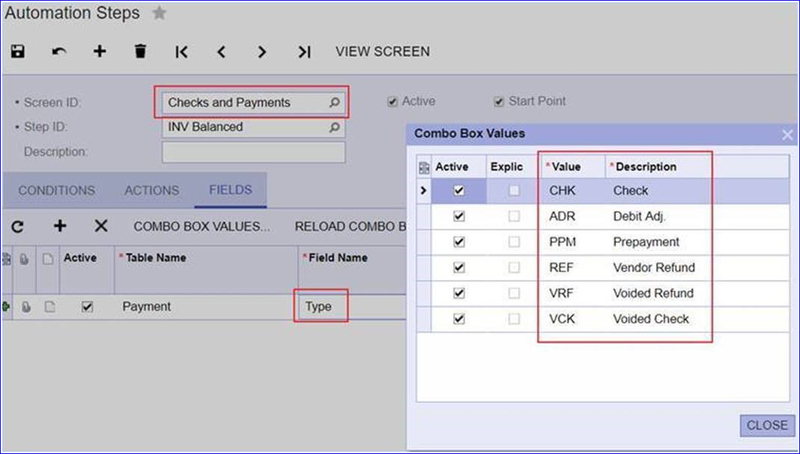 Now, click the Combo Box Values (3) to display the values window. In here, we can see that the “On Hold” description has “H” as the internal value. 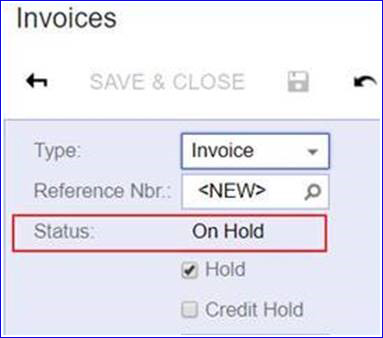 By using “H” as the value, we will now get the correct results in our filter when targeting invoices in the “On Hold” status. Notice, all the other available values are displayed as well. Do NOT save any changes. Here are a couple more examples of commonly used internal values in reports. The last step is the most important one. DO NOT SAVE THE CHANGES YOU MADE TO THE AUTOMATION STEP! Cancel your changes and exit out of the Automation Steps screen. We can’t stress this enough. Any changes to the Automation Steps can create havoc in your screen, so exit the screen without saving. 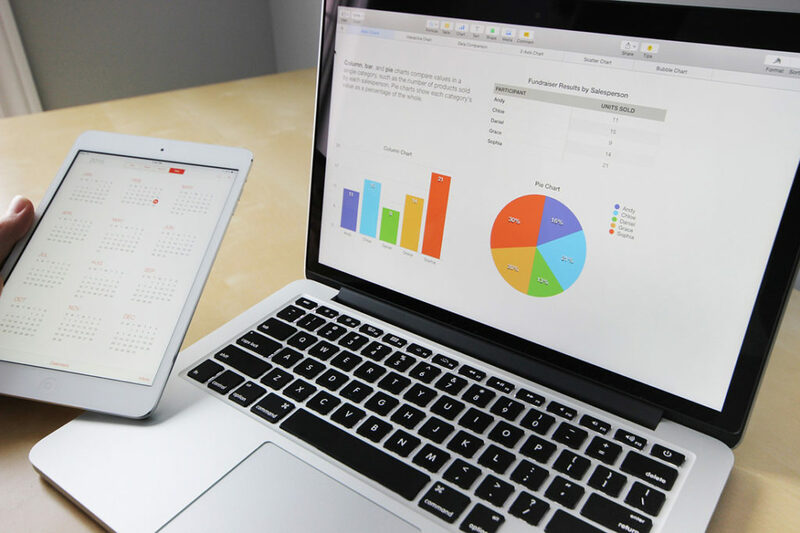 Note: Acumatica is a very user friendly system. Most of the time, we don’t need to look up the internal values. However, it seems when using formulas, the internal value usually becomes necessary. Did you know you can subscribe to the Crestwood blog for Acumatica? Simply add your email and choose Acumatica. Then you will receive emails with all our latest blog posts. Sign up here.